Eagles fans rejoice. The legendary rock and roll icons are coming back home to L.A. Don Henley, Joe Walsh, Timothy B Schmidt are bringing along country guitar superstar Vince Gill and Deacon Frey (Son of the late Glenn Frey) for a night of your favorite hit songs and maybe a few surprises. 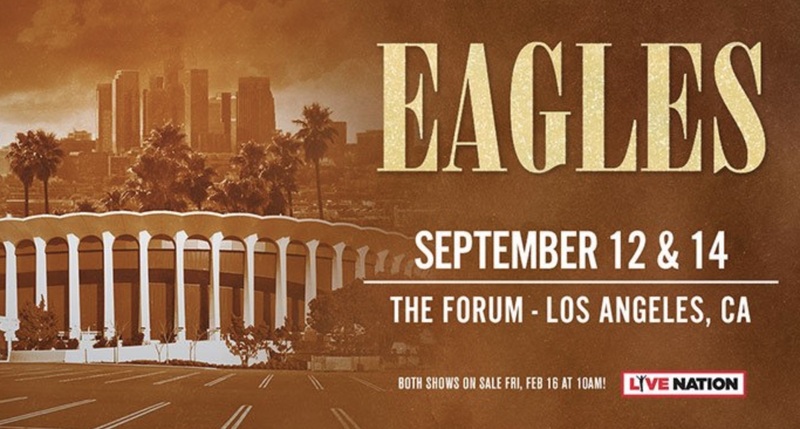 Watch the KTLA 5 Morning News on Tuesday February 13th for your chance to win two tickets see The Eagles at the Forum on Wednesday September 12th . You can also fill up the form on this website. Tickets go on sale at Friday at 10am at livenation.com. Make a reservation at the Hotel California cause these Los Angeles legends of rock and roll will give you a show you’ll never forget.